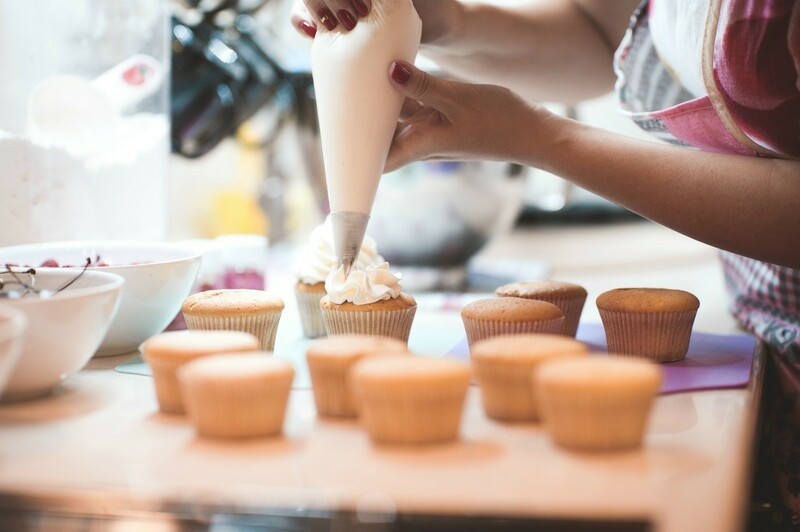 With proper licensing, your own culinary creations can be developed and made in your own kitchen. 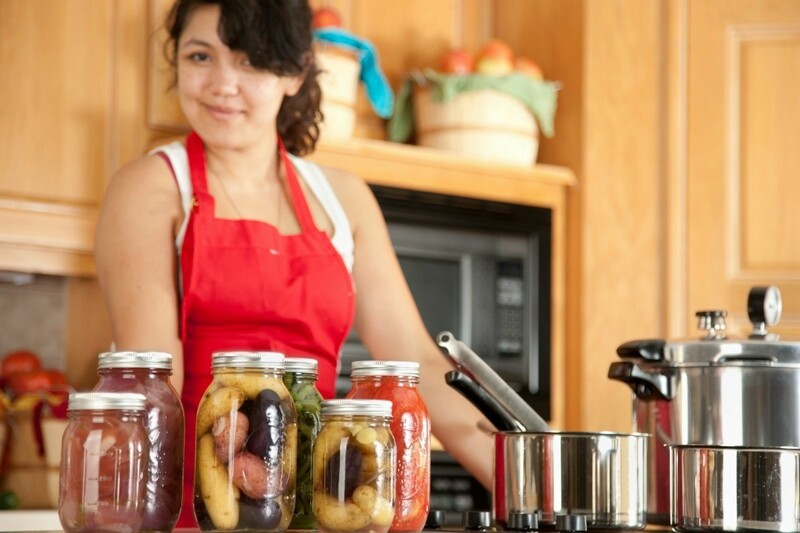 This guide is about starting a homemade food business. 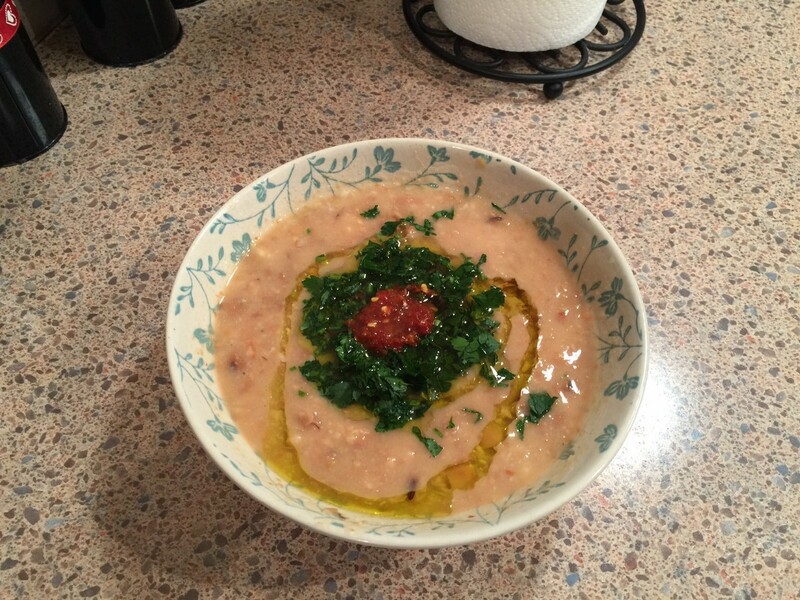 I live on Long Island and have been cooking and selling food by word of mouth for years. I'm looking to put my name out more and fill more bellies! Unfortunately I'm not sure of the rules and regulations to start an at home food business. Anyone with a kick in the right direction I would be happy for any advice. Thanks in advance. How do I start a homemade food business? I do love entrepreneurs, Nikita. Life would be boring indeed if innovative souls such as yourself didn't shake up the marketplace with new ideas and products. You'll likely want to start with just a whole bunch of research at city hall. Do you need a business license? Are you preparing foodstuffs at your home to sell to retailers or are you going to sell the products yourself. Either way, chances are you'll need someone to inspect your facilities and approve your preparation area. Health inspectors will have a number of questions and forms for you. While not wanting to put a damper on your idea, you'll want to start writing a business plan. Google can help with that if you look into templates and / or guides. Think about such things as the clients you want to attract and how you're going to do that. Do you have a company name? Will you build a website? If you're going to market your product online, you'll want a domain name which - ideally - will be the same as your company name. Do you have enough money to get started or will you talk to your banker about a loan. If you're going to borrow, the business plan is essential. The more thought and preparation you put into planning the business, the more likely you are to succeed. Do you have a good line of supply? Have you talked to suppliers about discounting for volume purchases? Have you given any thought to unique and appealing packaging? Check your local library for how-to books on starting a business. The more information you have, the better. Last not least, if you live in a city or town with a university or college where marketing classes are taught, get in touch with a professor or two and ask if they might like to get their class involved with a real-life marketing project. You'll get bright minds working with you for no cost. 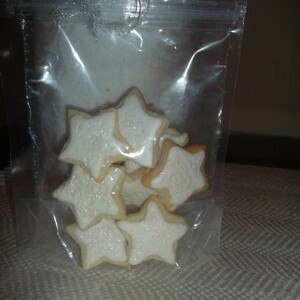 I need a name for my signature bag of little cookies that I am selling. The main shape is a circle (icing varies depending on season), however I also make bags of seasonal mini shapes. Any creative suggestions for "Bag of ?" Bag of Joy! Maybe not super-original but I would totally want to buy something called Bag of Joy. Munchkins. Whatever you decide, I wish you great success! When I saw your pretty cookies I thought Holiday Stardust. They are beautiful! Im putting thumbs up on Sweet Sacks. That got my vote. I am thinking of making homemade cakes for sale during the holidays. Does anyone who does this have ideas for pricing? I plan to make pound cakes, carrot cakes, red velvet, chocolate, and caramel. Maybe others. Does anyone have any suggestions or other good tips? Thanks! I think a lot of people would like to buy homemade desserts rather than purchasing from a store. As for pricing why don't you check what local bakeries are charging for similar products and price yours accordingly. Good luck with your new venture. Well you should add up your cost of materials, energy and a profit. The cost to make cakes may be more than you will charge for them. One question, who are you going to sell them to? Do you have a ready market? PLEASE BE CAREFUL ABOUT PRODUCING FOOD PRODUCTS OUT OF YOUR KITCHEN. THE HEALTH DEPT CONSIDERS YOU TO BE A FOOD MANUFACTURER IF YOU DO THIS AND YOU MUST BE LICENSED FOR THAT. I CAN SQUASH PICKLES EACH SUMMER AND WOULD LOVE TO SELL THEM BUT CANNOT UNLESS I PRODUCE THEM IN A COMERICAL KITCHEN. I would just like to point out that thousands of baked good are sold at Bake Sales each year that are not produced in commercial kitchens. My grandmother supported her family baking from home as did many others. If this sort of thing bothers you, then you do have a choice not to buy them. I did not mean to offend anyone by pointing out that you need a commercial kitchen to prepare food for resale. It certainly does not bother me, as I enjoy buying from bake sales. 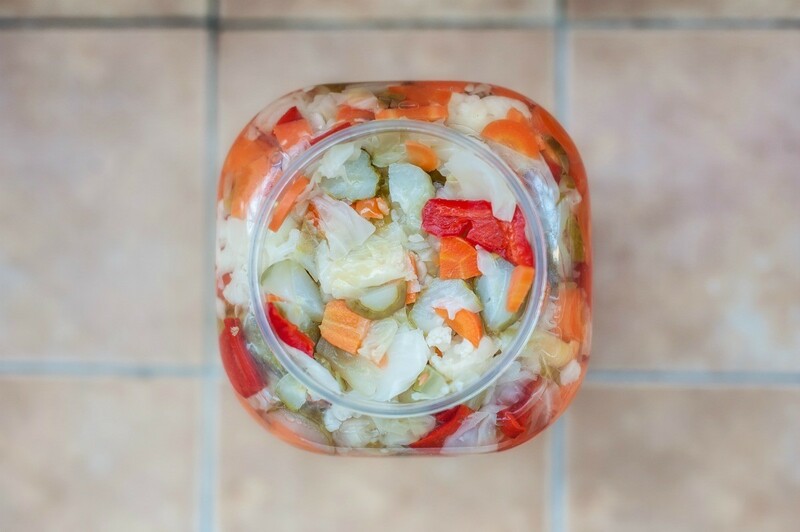 I have just recently tried to get a license to make and sell my squash pickles and have been disappointed, because I find that I cannot do it from home. One thing I have found when making things to sell is to stick with only 1-2 sure things and make that your specialty. It makes the item your selling a one of a kind and not one of many. I started by making yeast rolls and have since added only cinnamon yeast rolls...that is it. I have made extra money and kept busy by word of mouth. Good luck to you! I have noticed the number of growing international community members in my neighborhood, since I live in a city with big universities. I want to prepare meals and sell them, since students don't usually cook and always end buying from shops. I could put up fliers and ads on Craigslist to get the word out, but I need to know if I am allowed to just make a meal in my apartment and sell it straight up. Any regulatory/compliance and tax issues I need to take care of? And how do I do so? Who do I contact to help me get started? Thanks! I became a widow and I am looking to from home. I want to know how I can market homemade food and where? 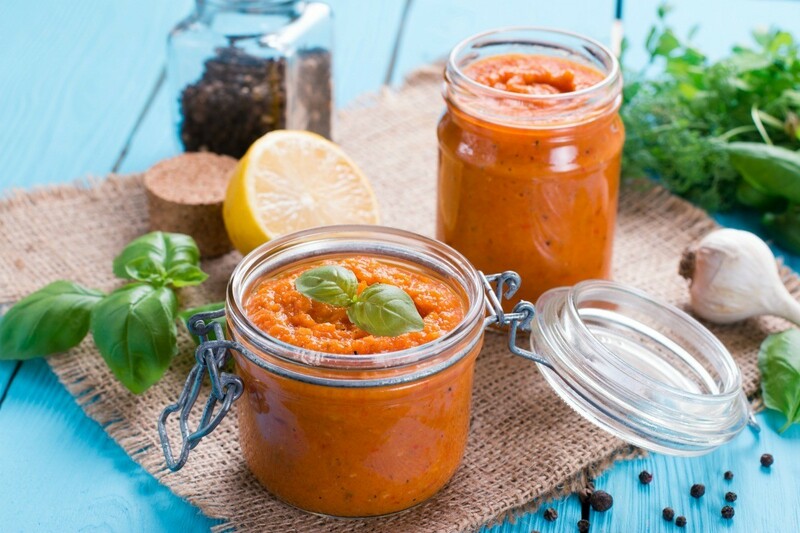 What are the conditions if I want to sell homemade food products? I have a, passed down, cheesecake ice cream recipe from my grandmother; how do I automate it? It takes me about 45 minutes to make 3 gallons. 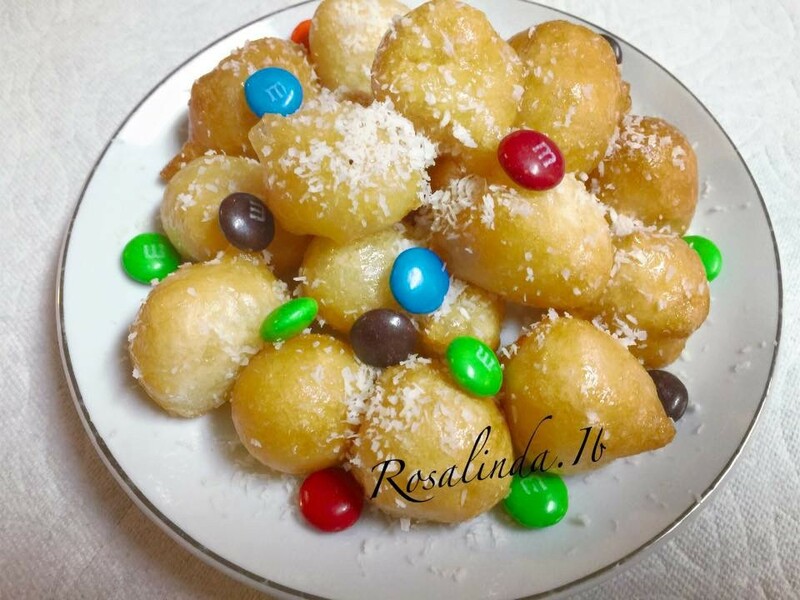 Is there a company or factory that I could work with to produce the recipe? Every Christmas I sell cookies, pumpkin rolls, and pies to my co workers and friends. They love my food and think I should start my own business baking for weddings, parties etc. How do I start? I am planning to set up a separate kitchen. I live in Ohio. I want to try, but I am afraid of failure! I think you better check with local and state officials. Some places require you to have a separate kitchen from the one where you live and other licenses, etc. 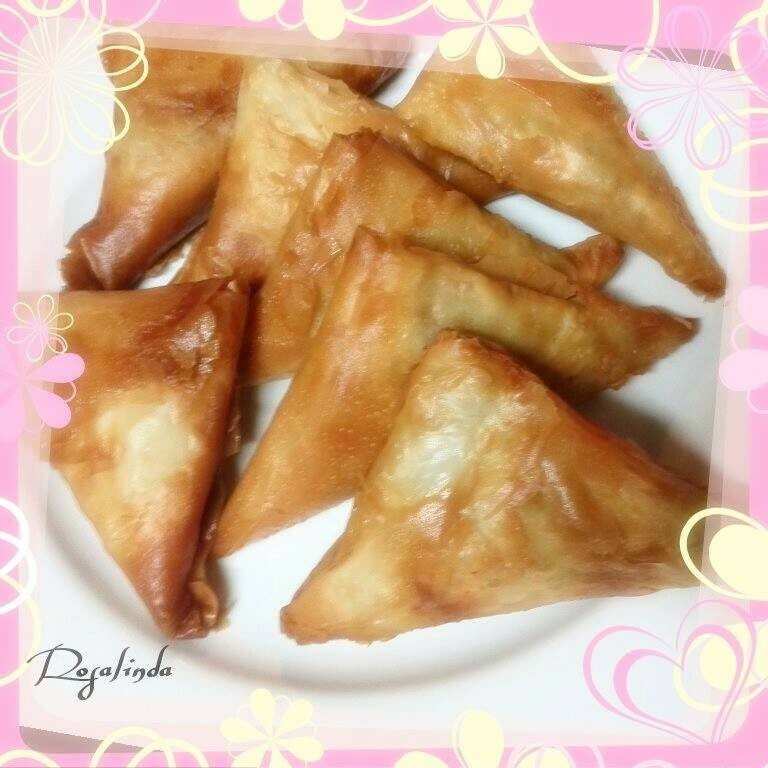 I am a working woman, interested in starting my homemade food business with my mother's cooperation. My product line will include homemade jams, baked, cooked, and semi cooked food, and organic eggs. I'm confused about how I can manage the production, marketing, purchase of raw materials, sales, budgeting, and delivery, as well as, product line test and quality packaging, etc. Could someone please suggest, for these unlimited activities, how can I manage all these in a way to achieve the interest of customers to want my product? And what type of marketing should I use? I'm thinking of using my own contacts and FB for my products marketing. If you can suggest some ideas I would appreciate it. The first step is safety. Your local food handlers class/license will help you with all the regs. Your kitchen has to be certified, or you can perhaps rent out a local church/school. Then make sure you know what you are cooking/making. Make up a batch and have your friends over for a sample party. Don't tell them you made it if they don't already know, and if they give it a thumbs up you are golden. Start out small so your initial output is small, just in case. No one likes to fail at an attempt at a small business, but to lost a ton of money hurts worse. Once you have a solid base, ask the local farmers market if anyone would consider "piggybacking" you with your product but their costs, etc. Offer to give them a percentage so they get something too. Or, if you have a license, ask a local market if you can set up a sample booth to give out a taste of what is new. If all that goes well, advertise in the local paper, facebook, and setting up a website if it all goes well is super simple nowadays. Remember assembly line thinking always helps. If your kitchen doesn't currently have a safe/pet free/smoke free place to work, make one. If it does, set up you process line from A-Z. In other words, you wouldn't want a sandwich bar to have condiment, pickles, meat, veggies and then bread would you? So think of what is first, second, and more. Invest in some food handlers gloves and wear them. Fingernails and what gets under them are out of this world germ ridden. One person getting sick is one thing...an entire store of people getting sick on your samples will end you before you can show you shine. Good luck. I hope this and all the other sage advice you get from us will help. If you get it off the ground, let us link to you?? Hi - my daughter started her own business and received a lot of help from our local Better Business Bureau. There are a lot of rules and regulations where food is concerned as well as laws about business licenses (state, city and county) and in some instances you may have to collect and submit sales tax. You will have to make an appointment and they should be able to tell you all the "things" you will have to do before you "start cooking". Most states do not have the same regulations especially with food and also with how and where you can ship. May be a long process and even slower getting this type of business off the ground but may prove worth it. Food and plants have some of the most stringent rules when it comes to selling and shipping - but it can be done! Good luck and be sure to let your Thrifty friends know as you progress - we may be potential customers! I have a florist shop and I would like to start selling home made cakes as well, but I don't know the pros and cons of what to do. Can anyone tell me if I need a license to do this or can I just sell them? Thanks. I make awesome cashews. I want to try selling them on eBay, Amazon, or Flipcart. Have you done anything like this? The only thing I know so far is these sites. Please help me. Some of these sites will allow sellers to list "homemade" edible foods but they have very strict rules that you have to follow. Etsy is another site to research. I believe you need to research your own county/state for licenses etc. before going any further as every state seems to be different and you may have to find out which states will not allow foods like this. You can Google your questions and you will find lots of information - but - be careful as some "answers/remarks" may be several years old. Ask questions in several different ways to receive the most info. Can I make a logo and put it on the boxes in which I sell homemade macaroons? I love making macaroons for myself, and I thought I could sell them. I was wondering if I could make my own logo to put on the boxes that contain them. You can but first you need to make sure you adhere to local and state laws regarding making food in your home. Without that, your other things would be like putting the proverbial cart before the horse. Other than that, it sounds wonderful and I wish you luck. 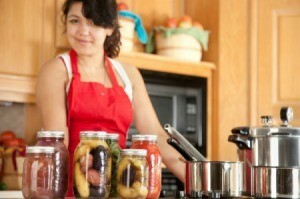 If your home kitchen passes a Health Department inspection, then you can sell your homemade food products to the public. This is a guide about selling homemade food products in stores. This is a guide about starting a home food delivery service. There is a lot to be done if you want to cook for at home and sell it. From calculating profitable prices to meeting food safety standards. 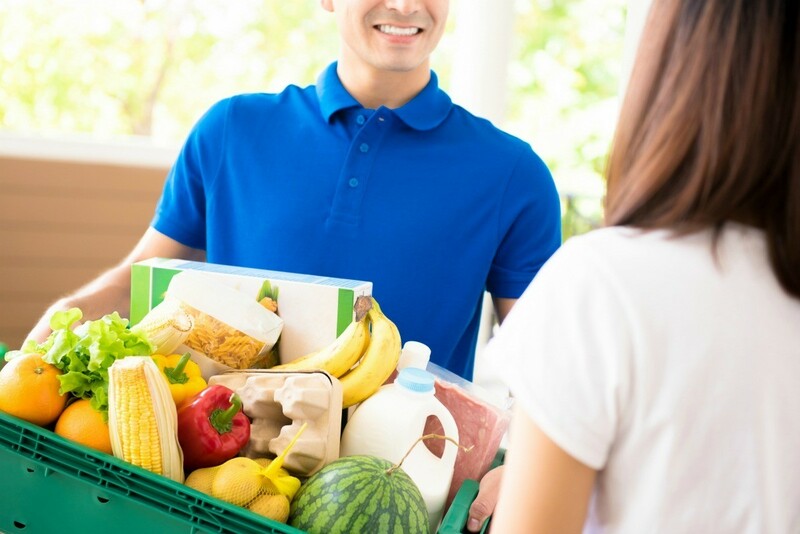 Here is some great advice if you are interested in starting a home based food delivery service. 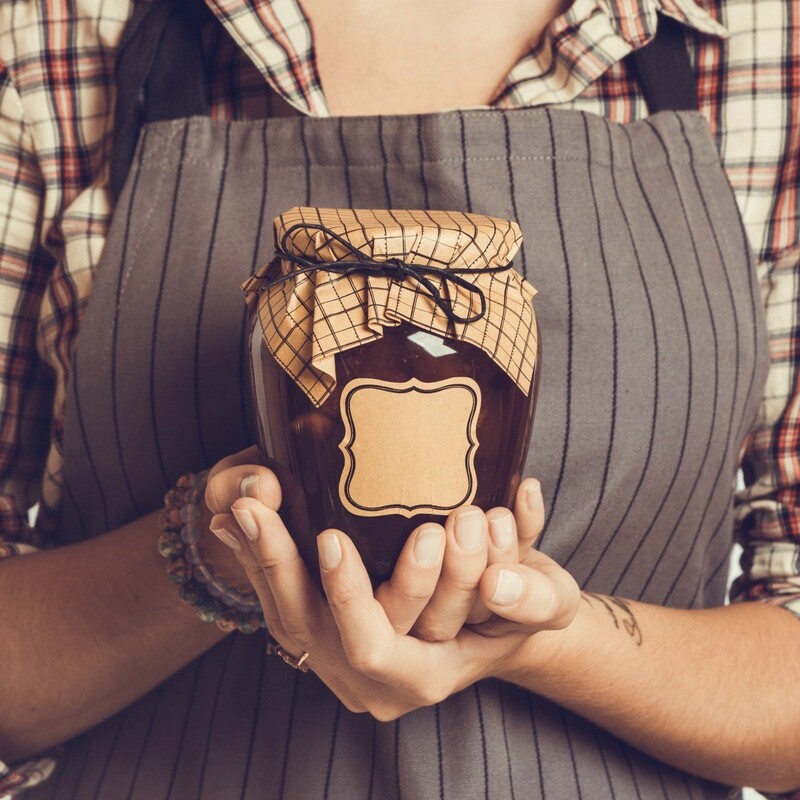 If your home kitchen passes an inspection by the Health Department, you can become eligible to sell your homemade food products to the public. This is a guide about selling homemade food on eBay. 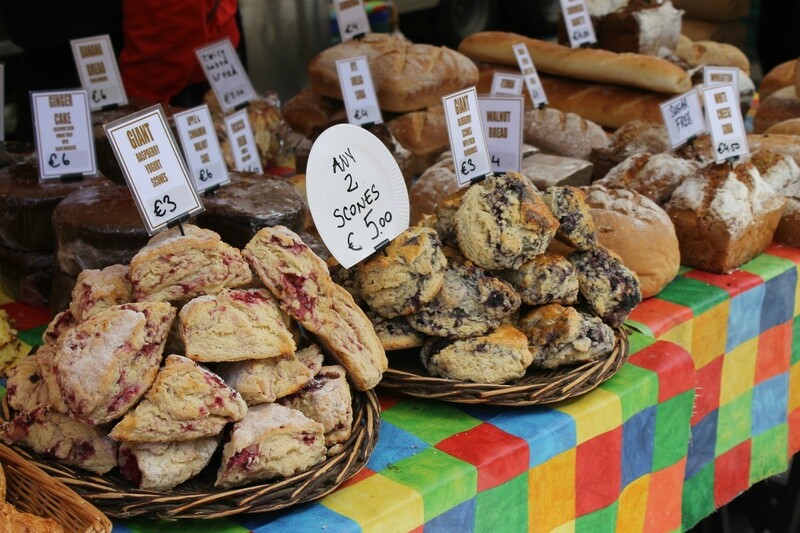 Selling homemade food, like condiments or snacks, can be a great start-up business. However, your home kitchen will need to pass health inspection first. This is a guide about selling homemade condiments. This is a guide about selling baked goods at flea markets. One way to expand the market for your small baked goods business is to sell your product at the local flea market.